Set to be discontinued in spring, the DZ21K introduced a new platform for 20,000 lumens and changed the projection world. Originally designed for the 2012 Olympic Games Opening Ceremony in London, it changed the potential for the rental and staging events market, and helped Panasonic’s market share in the segment reach 80%, a mark it maintains today1. 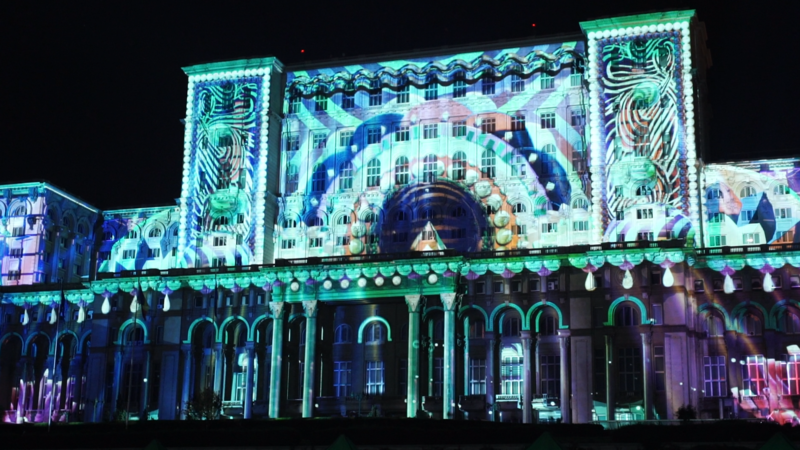 Being half the size and half the weight of other products in its class enabled giant projection mappings like the Bucharest 555 celebrations in 2014, which featured 104 units or the Guinness World Record of Projection Mapping which saw 142 units used at the Moscow Circle of Lights festival in 2015. Continuing this innovation, Panasonic introduced its first laser platform in 2014, and launched its flagship laser projector, the PT-RZ21K, at ISE in 2017, providing the same level of brightness of 20,000 lumens in the DZ21K’s original compact housing. Hermetically sealed laser modules mean the RZ21K provides non-interrupted projection for up to 20,000 hours. This provides greater reliability and colour uniformity for rental companies, reducing the maintenance burden and the total cost of ownership. A reference model for large venue and rental projectors ever since its introduction, the RZ21K projectors was used to illuminate the Eiffel Tower in the ‘Japonismes 2018’ anniversary of 160 years of Franco-Japanese friendship. In addition, six RZ21K’s were used in the performance of ‘Guidizio Universale. Michelangelo and the secrets of the Sistine Chapel’, transporting audiences in to a 270 degree projection of the Sistine Chapel to display the artist’s famous works. The PT-DZ21K projector will be discontinued in March 2019, with the PT-RZ21K currently available for purchase.